Greg Amundson is a former SWAT officer, DEA Special Agent, U.S. Army Captain, and one of the founding athletes and coaches of CrossFit. 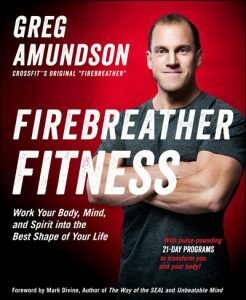 Known in CrossFit as the “Original Firebreather”, Amundson has spent over sixteen years in Military and Law Enforcement service, including details as a Special Weapons and Tactics Team Operator (SWAT) and Sniper in Santa Cruz County, a Captain in the US Army, a Special Agent with the Drug Enforcement Administration and an Agent on the Border Enforcement Security Taskforce (BEST) Team. Greg started his CrossFit training in December 2001, and was mentored by CrossFit Founder “Coach” Greg Glassman for over seven years. A former owner of the very first CrossFit gym, Greg Amundson has traveled around the world teaching CrossFit movement, theory, and application. 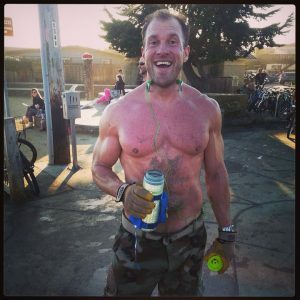 Greg has been featured in numerous magazine articles including Competitor Magazine, Lava Magazine, Mens Health, WOD Talk Magazine, Outside Magazine, Inside The Box Magazine, Santa Cruz Good Times and Police Magazine. Greg is the Fitness Expert for Calibre Press Fitness Publications and his contributions to CrossFit and the Law Enforcement community have been chronicled in the bestselling books Inside The Box and Learning To Breathe Fire. Greg is the author of the books Your Wife is NOT Your Sister, God In Me,and United States Army National Guard: Tips For Success, Greg is also a Minister and highly respected lecturer and educator on such topics as Universal Law, Leadership, Warrior Spirit, and Gods Love. Connect with Greg on Facebook or his personal website Gregory Amundson.